freezeover98	 04-16-2014 04-16-2014 Failure 0 0/0 mailer-daemon bounce back failure. lautnerfied	 02-20-2014 02-20-2014 Failure 0 0/0 Email bounced back. primetime27	 08-28-2013 Failure - 0/0 Email bounced back. primetime27	 01-01-2013 02-05-2013 Success 35 0/1 Received signed 8 x 10 color picture. Creased. wongcastle	 09-04-2010 09-05-2010 Failure 1 0/0 "Please send a SASE to the address below and we will be more than happy to send you signed photo from Adam. 5815 Field Breeze Street Las Vegas, NV 89148"
NYYanks2016	 08-01-2016 09-15-2016 Success 45 0/1 Send an email and received a photo of him of holding the trophy from WGC Cadillac Championship signed. The envelope was postmarked from Australia. Thank you very much Mr. Scott! Yankees1313	 07-20-2016 08-01-2016 Success 12 0/1 Postmark from Australia. Great signature. 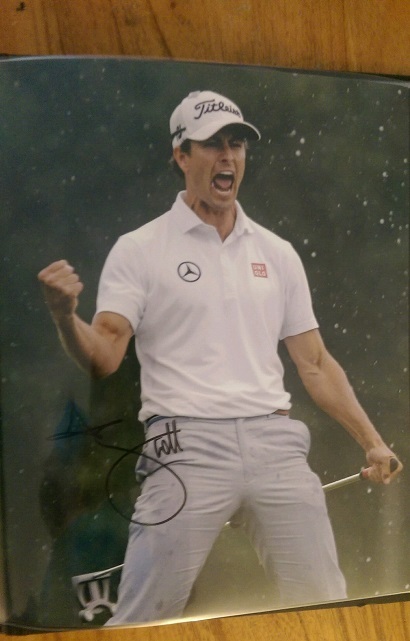 pzero	 06-17-2016 07-13-2016 Success 26 0/1 Received Photo, but it's an obvious autopen and matches another known Adam Scott autopen. stusmith27	 03-31-2016 05-25-2016 Success 55 0/1 SENT EMAIL. 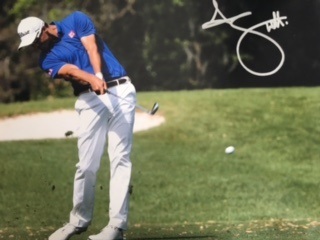 RECEIVED A 8X10 SIGNED IN SILVER SHARPIE. POSTAGE FROM AUSTRALIA. primetime27	 01-09-2014 01-22-2017 Pending 1109 0/0 01 22 17 Sent another request. 01 14 19 Sent another request. primetime27	 08-28-2013 09-12-2013 Success 15 0/1 Received signed color 8 x 10 picture. JoeWeb10	 06-28-2013 12-06-2013 Success 161 1/1 Email Request. Sent signed 8x10 from Australia! JimCant	 09-30-2017 11-13-2017 Success 44 1/1 Sent 8x10 with SASE. Received back postmarked from Australia (Even put a foreign stamp over mine) signed beautifully! Thanks!